Jesse Zapata, who has announced plans to retire, joined UTSA in 1976 as an assistant professor of counseling in the College of Education and Human Development. (Aug. 7, 2018) -- Jesse T. Zapata, senior vice provost for academic and faculty support, announces his plans to retire after 43 years of distinguished service to the university. Considered one of the university’s founding faculty members, Zapata joined UTSA in 1976 as an assistant professor of counseling in the College of Education and Human Development. He moved through the ranks as associate and then full professor, and served in many administrative roles which have collectively shaped his legacy at UTSA. In 1987, Zapata co-founded and served as first chair of La Raza Faculty and Administrators Association. The work of this group impacted several key programs or processes, including the creation of the university’s Tomás Rivera Center for Student Success, establishment of the Mexican American Studies program and incorporation of Affirmative Action Advocates within the faculty recruitment process. In 1989, Zapata became the first director of the Hispanic Research Center, a multidisciplinary center that provided a vehicle for generating high quality funded research for and about Hispanics. The center generated a number of grants from federal agencies, including one the National Institute on Drug Abuse that Zapata led as principal investigator, and established a series of working papers which are available through UTSA Libraries’ archival collections. From 1994 to 2016, Zapata served as founding vice provost for the UTSA Downtown Campus, having been selected through a national search. Under his leadership, the university’s downtown presence expanded from classes in a temporary location at Cypress Tower to a 14-acre full-service campus that houses the College of Architecture, Construction and Planning, the College of Public Policy, and three departments in the College of Education and Human Development. As the campus’ chief operating officer, Zapata oversaw the Downtown Campus Council, a cooperative model whereby representatives from Academic Affairs, Business Affairs and Student Affairs worked together to ensure students received the courses they needed and the services they deserved. Over the years, he worked tirelessly to create a community-oriented, user-friendly and caring environment at the Downtown Campus. As top Downtown Campus administrator, Zapata established and maintained strong ties with city and community leaders and served on the boards of several non-profit organizations dedicated to improving the city’s Westside and downtown areas. Zapata also worked with city council members to help identify city bonds that are now being used to improve traffic flow and safety around the campus. From 2000 to 2008, he served concurrently as founding dean of the College of Public Policy, during which time he brought the departments of public administration and criminal justice to the Downtown Campus and established the Department of Social Work, the Department of Demography, and the Center for Policy Studies. In addition, he led the effort to create UTSA’s Ph.D. program in applied demography, which became the first doctoral program to be offered solely at the Downtown Campus. In 2012, Zapata assumed responsibility for overseeing the academic and faculty support functions within academic affairs, including oversight of the university’s academic policies, faculty review, grievances, appointments, faculty awards and development. In the coming year, a national search will be launched for Zapata’s replacement. 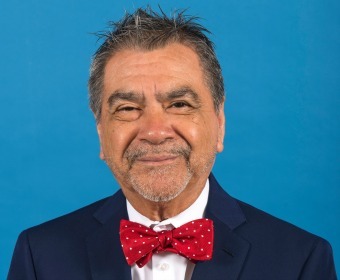 In addition to his usual duties, Zapata will help with the transition and continue to work on an archival project regarding the Downtown Campus and La Raza Faculty and Administrators Association in collaboration with UTSA Libraries.